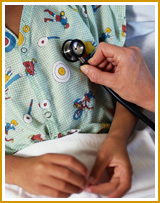 In 1997 The Ernest N. Morial Asthma, Allergy and Respiratory Disease Center at LSUHSC was dedicated as Louisiana's first comprehensive center for the education, prevention, treatment and research of asthma and other respiratory diseases. 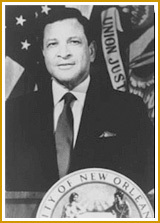 The Morial Asthma, Allergy and Respiratory Disease Center is named for, and dedicated to, Ernest "Dutch" Morial. "Dutch" suffered and eventually died from asthma. An integral part of the mission of the Ernest N. Morial Asthma, Allergy and Respiratory Disease Center is to preserve "Dutch" Morial's passion for wanting to help those who need it most. Because the asthma death rate among African-Americans is almost triple that of Caucasians, and because the largest increase in incidence of asthma has been among inner city African-Americans, much of the Center's work is focused on the African-American Community and the urban poor - helping those who need it the most.